I can totally relate to this! I know I’m supposed to be a grown up and all that but I hate it when sandwich shops assume I’m ok with the fact they cut my sandwiches in two! I want four sandwiches people! It’s always four! Two sandwiches is a man thing, they have big manly bear mouths which could swallow a sandwich whole if they really wanted to, but Ladies eat daintily, you’d never get an afternoon tea with big half sandwiches, always quarters! 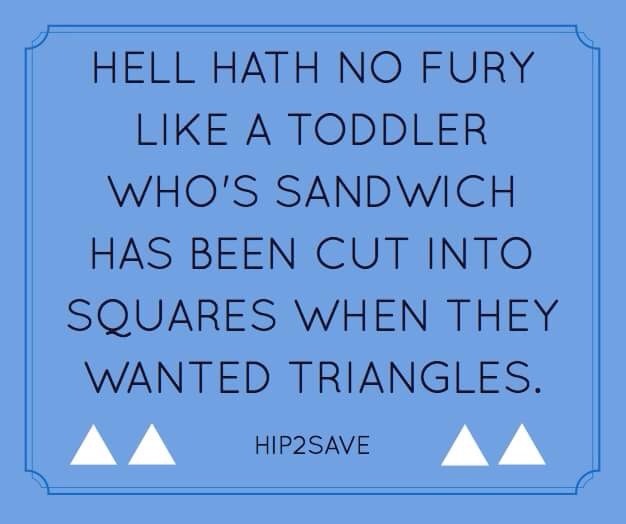 just tastes nicer that way……so this made me smile…..although mine would say “hell hath no fury like a woman who likes 4 tiny sandwiches from the sandwich shop and the sandwich man cuts them in two” ..not got quite the same ring to it tho’!….oh, and my grammar would be better than the person who wrote this too. Still, you get the point. How do you deal with whiny children?